Brits will need to keep a close eye on ads in the lead-up to Easter. Most brands just want you to watch their ads. Cadbury wants you to watch everyone’s ads. 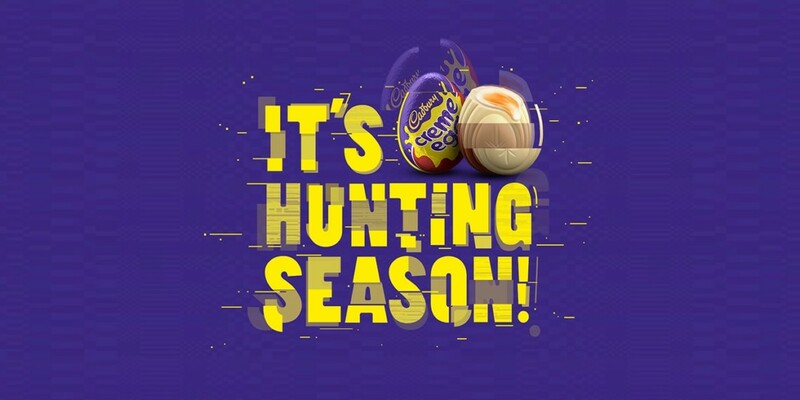 That’s because the Mondelez-owned U.K. chocolate brand will be hiding its famous Cadbury Creme Eggs in print, outdoor and TV ads across Britain in the weeks leading up to Easter. Viewers who spot these rather literal Easter eggs and upload them on HuntTheWhiteCremeEgg.com. As the URL makes clear, what you’re looking for in your Ahab-like quest is a White Chocolate Cadbury Creme Egg. When you upload an image from one of the ads, you’ll find out if you’ve won, and if so, whether you’ve uncovered a traditional or white egg. Only 1,000 vouchers for the white eggs will be given out, while 30,000 vouches for traditional Cadbury Creme Eggs will be awarded. One winner will also take home a cash prize of 10,000 British pounds (about $13,000). If you’re not in the U.K., chances are good that you’ll get your chance for a similar promotion someday soon. Given Tide’s success in interweaving itself into other brand ads at last year’s Super Bowl—not to mention the extremes marketers are willing to go to to make their ads less skippable—it’s probably safe to anticipate that meta crossovers will be a trend to watch this year.